You think only big, powerful, expensive cars have soul? 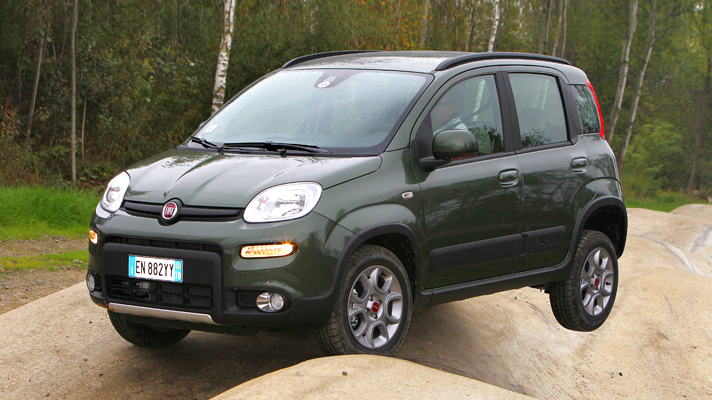 Then the Fiat Panda 4×4 proves you wrong. There’s nothing new about what the Panda 4×4 brings to the table, there’s been an AWD Panda since 1983. But every single one has managed to make a quirky, useful little car that appeals on a myriad of levels. And the new one carries on that proud tradition. Top Gear reckons that “it’s so compact it’ll weave between trees and rocky obstacles that defeat the galumphing full-size off-roaders” and in town is “squeezable, cheeky and glides so gently over humps it wouldn’t even wake a sleeping policeman.” This, and a list price of around £14k means that you buy the Panda 4×4 not because you can’t afford anything else, but because it’s the best tool for the job. And that’s why it became Top Gear Magazine’s SUV of the Year. A cheeky Award for a charming, and cheeky car.